"I want to crack the PDF password and open the PDF file to print, how can I do this?" When you try to open PDF file on Adobe Reader, Android phone, Blackberry or other portable devices, you may see an error message required you to enter a password to open password protected PDF. Have you ever got the same message? Other cases as well, when you received PDF files from our friends or anyone else, how can you open password protected PDF file and read, copy or edit them freely? The easiest method is asking PDF creator for password. If they are unlucky to forget the password, there is no way other than using PDF password crack software. 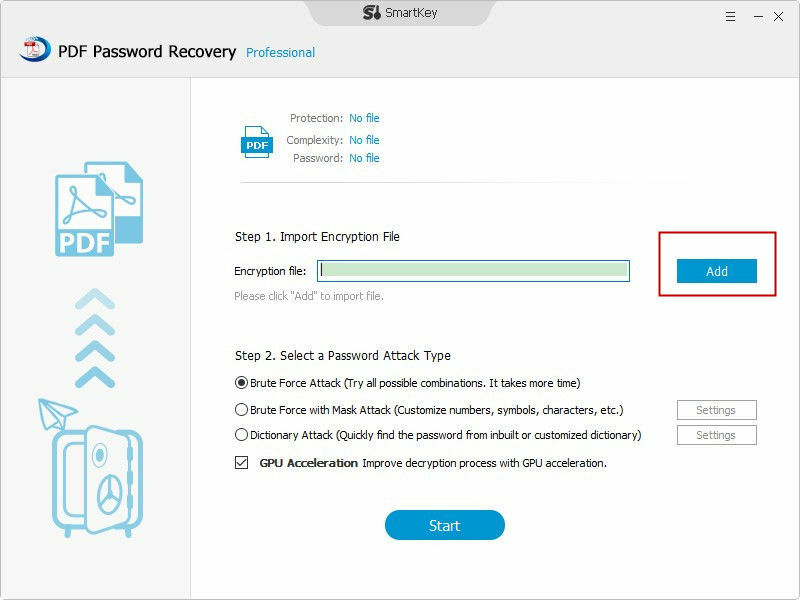 SmartKey PDF Password Recovery is the useful PDF password remove software which is designed to remove annoying restrictions from PDF files and let you get access to password protected PDF documents quickly and efficiently. Read the article below to learn about how to decrypt PDF files. 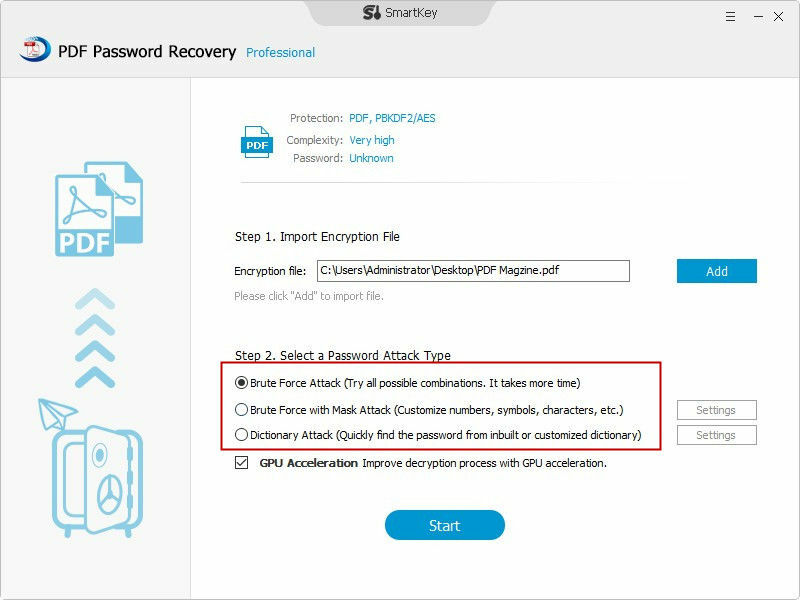 Download open secured PDF tool (SmartKey PDF Password Recovery) and install it on Windows computer. Run the software. In the main window, click "Open" button to upload encrypted PDF files to the program. You will see there are three password crack types there. Choose any of them and set the option. Then push "Start" button to begin crack. Just in a few minutes, you will see a window popped up with the password. You can use this password to open protected PDF. Note: There are two password types of PDF file. What we are mentioned in this article is open password. If you want to open encrypted PDF and remove the restriction of copy, edit or print, you need to crack PDF owner password. Recover password to open PDF file and remove PDF restriction of editing, copying and printing.